You can always count on DISH to come through with something interesting at the Consumer Electronics Show. Unlike DIRECTV, DISH relishes the spotlight with a traditionally large booth that only seems to get larger every year. While the base streaming box is available by itself, the real benefit here is the addition of an optional OTA tuner that will take any antenna and integrate streaming and antenna TV. Honestly, this turns the device from “why did they bother” to “why didn’t they think of this sooner?” A single device with a single remote for both antenna and streaming is, quite simply, a cord-cutter’s dream. Personally I don’t think there’s going to be a lot of love for the non-OTA box. At $99, it competes in a crowded segment that includes Apple’s lowest-end AppleTV, the mid-price Roku product, and Amazon’s higher-end offerings. While it does give you a strong app selection right out of the box, it’s hard to understand why anyone would opt for this box instead of more established competitors. Add the OTA dongle, which looks fairly similar to our own MyGica A681, and your prospects change. The combo is pricey, in line with the most expensive boxes out there. 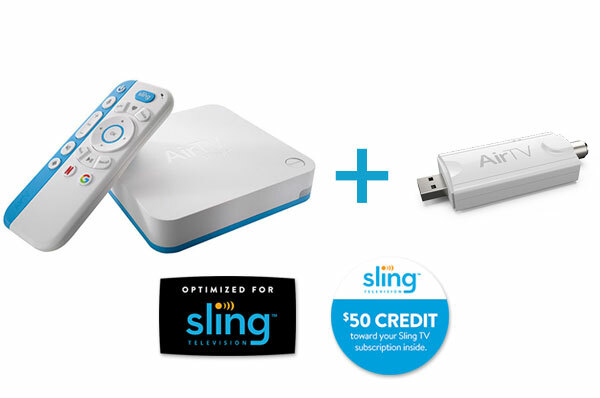 A $50 programming credit for Sling TV makes things a bit more palatable but it’s still up there in rarefied territory. 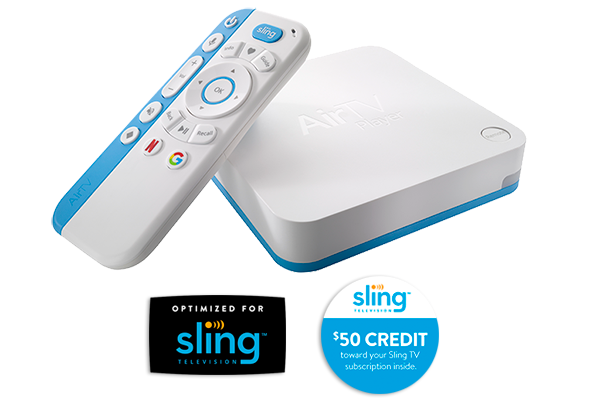 Still, this becomes the perfect box for seniors looking to cut the cord with a single remote, second bedrooms where you’re looking to keep prices down, and urban cord-cutters without space for a lot of equipment. I expect this one to be a winner. Oh yeah, and that other stuff. DISH’s pair of press releases this morning tout two new features for its Hopper 3 DVR. It’s now compatible with Amazon’s Echo devices, giving Hopper a full set of voice controls. 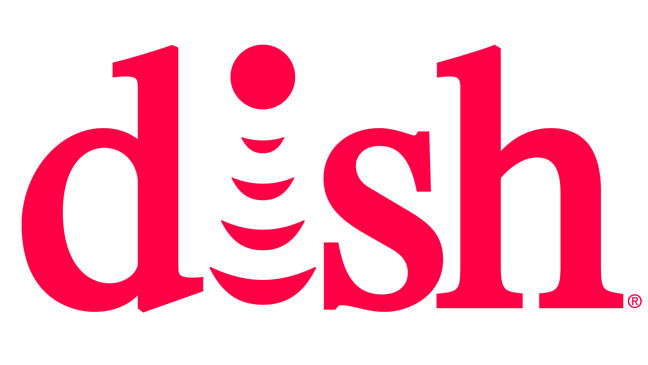 This isn’t surprising; DISH has been at the forefront of home automation for years. The other announcement follows up with a product shown at last year’s show. DISH Music lets you stream from Pandora, iHeartRadio, and Tidal to connected devices giving you a whole-home music system. The feature will work on Hopper 2 and Hopper 3 devices and will stream to any DTS Play-Fi device, of which apparently there are some (I’ve never heard of the technology but what do I know.) I think the goal here is to create a bargain-price Sonos-type thing. I wish them all the luck in the world here but this one isn’t any more interesting to me than it was last year when I thought it was vaporware. The big picture here is that DISH is continuing to take steps away from just being seen as a satellite TV company. They are the last major provider without any sort of landline internet service, and they’ve had to work hard to keep going without bundle deals. Unlike other providers, they’ve concentrated on building hardware that’s more capable than the competition. This means more tuners, more apps, and more integration. Hopper 3 is essentially the only single box right now that really acts as a home entertainment hub, and with the addition of AirTV, DISH can claim the only single box that serves every cord-cutting need. Our team will be on site at CES this week and as usual we’ll give you a tour of the DISH booth. It promises to be exciting!